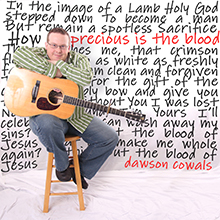 Singer/songwriter Dawson Cowals’ 7th album showcases his unique acoustic styling with driving rhythms, percussive tapping, and beautiful finger picking. With vocals ala Dave Matthews and the storytelling of John Mayer, this raw acoustic CD is a treat. 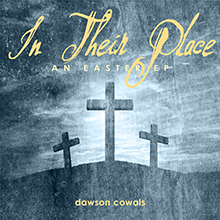 Dawson Cowals has a haunting voice that demands your ear. An artist who can indeed stand “unplugged”, Cowals offers a beautiful array of acoustic scores with an unapologetic social conscience. It works. Faith meets fire and speaks to what is missing in the emptiness of many other works. A polished artist with a bright, shiny soul. This rerelease features two new tracks: “Beloved” and “Restore My Soul.” All of the songs have been digitally remastered from the original studio recordings. The track order has also been slightly altered to provide a hopefully more pleasing listening experience. If you enjoy acoustic music then you will love the live feel of this CD. All of the songs were recorded live in the studio to capture Dawson’s typical coffee shop playing style. For fans of Dave Matthews, John Mayer, or Bebo Norman. The artwork for this CD started with a photo of his guitar in a field of daisies at Starker Arts Park in Corvallis, Oregon, and was then transformed into his signature colorized guitar in a black & white photo. Lyrics are included in the booklet for those of you who might wonder what exactly he is singing in French on the lullaby, Mon chéri.